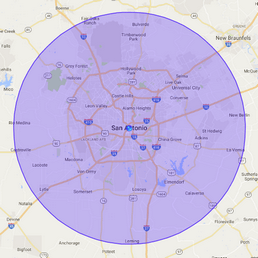 Jesus Cardenas is a veteran in the restoration industry with over 20 years of experience and applies this knowledge to every job 911 Restoration San Antonio accomplishes. He adores meeting the families he helps, always keeping two goals in mind: health and happiness. 911 Restoration San Antonio always puts the customer first and does this by ensuring the health and happiness of our clients. They are determined to return your home to its proper state after disaster strikes. When not breathing life back into buildings, Jesus and his crews can be found at Retama Park rooting for their favorite horses. They are proud community members, even sporting a plaque on their wall from their valiant donations to Toys for Children. 911 Restoration San Antonio is made up of owner Jesus Cardenas, project manager Juan Padilla, and many other members in the office and on the job. Each one embodies Jesus’ passion for the projects and care for the customer. With all the possible threats of disaster, 911 Restoration San Antonio offers helpful tips to keep your home safe. Jesus, Juan, and their technicians understand that your home is one of the biggest investments you will make in your life, and work hard to keep it in pristine condition. So that you too can sustain the value and perfection of your home, consider preventative maintenance. When sewage backs up into your home, keep everyone away from it as it can be deadly. Turn off your water line. 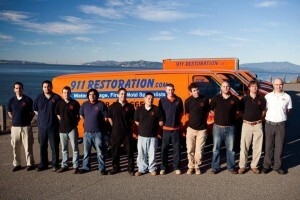 Call 911 Restoration. This is a serious disaster that needs the aid of a professional to remedy. When you know hurricanes are on the horizon, clear leaves from your rain gutters to make sure precipitation has a clear route from your property. Sandbag your entrances to block flood waters. Seal your windows behind storm shutters. Have an escape plan for a fire. Call 911 before you call 911 Restoration to ensure your property is safe. Following these tips can save lives. If your building does succumb to disaster, call Jesus and Juan right away. 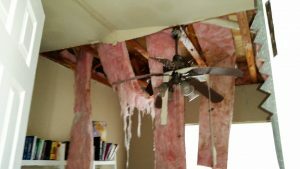 911 Restoration San Antonio has a soft spot against the hard times that come with water damage. When Jesus heard an elderly ladies plight about how she did not have insurance or money, but did have over four feet of water in his home, he took it upon himself to repair the place without charging her. It was an extreme situation and he knew the cost it would be to the company was relatively small to the positive affect it would have on the woman’s life. These types of incidents, the ones that reveal true integrity of character, set 911 Restoration apart from every other disaster restoration company. Jesus and his team are happy to provide their services to the community and work with all insurance companies to provide a fresh start to residence in the cherished area. 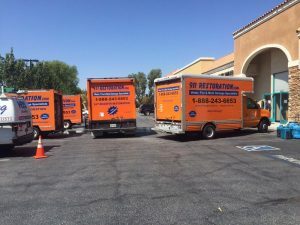 If your property is already awash in flood waters, then contact our water damage San Antonio team with 911 Restoration San Antonio for all the best in services today!